In the dreary depths of early spring, a healthy dose of Vitamin D was desperately needed. A tropical vacation was calling my name, and it would have been rude not to answer. 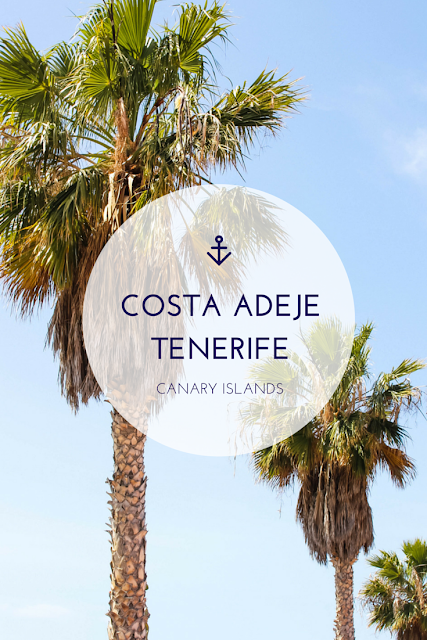 In search of a sunny escape, I fled to Costa Adeje, Tenerife - a little piece of paradise in the Canary Islands. Not only was this beachy town the perfect place to defrost, but it was also the ideal spot to slow down and relax. However, I mustn't sugarcoat it all, for paradise still has its limits. I had zero guilt laying out by the beach and pool all day because quite frankly, there isn't much else to do in Costa Adeje. In fact, I deliberately tried to avoid most parts of town. While the landscape and beaches are sublime, the town itself lacks any genuine character. The boardwalk along the coast is littered with tacky restaurants serving overpriced meals, trashy shops selling junky souvenirs, and sunburnt tourists getting visibly sloshed at the chiringuitos, or beach bars. That said, it's entirely possible to successfully avoid the tourist traps and seek out authentic and memorable experiences in Costa Adeje. 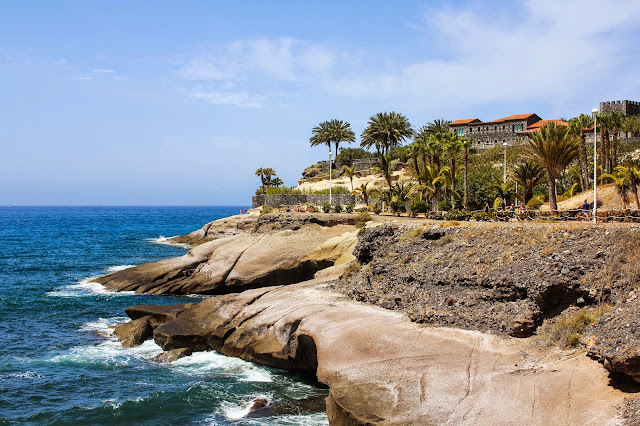 Here's how to find Costa Adeje's secret paradise and enjoy a relaxing stay in the south of Tenerife. Amongst Costa Adeje's many beaches, Playa del Duque is by far the most picturesque and pristine. Surrounded by lush palm trees and crystal clear waters, this stunning stretch of sand is the perfect place to sunbathe, go swimming or take a mid-day siesta. Here you can find some of the island's nicest hotels, an elegant promenade to stroll along, and several darling terraces to enjoy some ice cream or a refreshing cocktail. 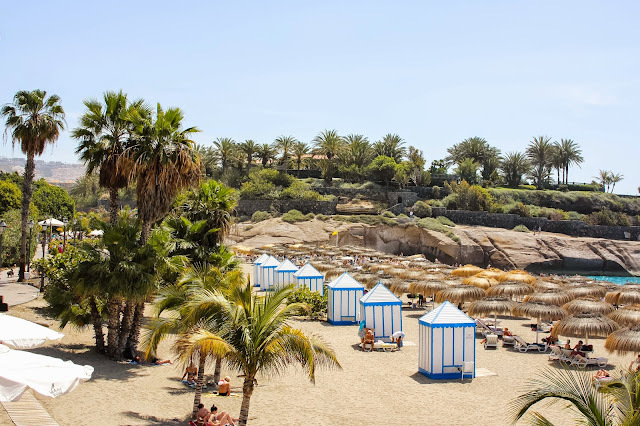 Regarded as the classiest beach in Costa Adeje, Playa del Duque makes you feel as if you're on a private beach belonging a five star resort, minus the price tag. Nothing embodies paradise quite like lounging on a sailboat, sipping white wine and watching dolphins pass just inches away from your boat. Add in some snacks, sunbathing and pilot whales, and you've got a recipe for perfection. With Tenerife Sailing Charters, we spent several hours on the ocean being chased by dolphins and getting up close and personal with a large pod of pilot whales. Spotting the whales and watching them swim so close to our boat was a truly breathtaking experience. Afterwards, we sailed to a nearby cove for snacks, drinks and snorkeling. As we basked in the sun surrounded by serene waters and the island's striking landscape, all I could feel was pure bliss. Without a doubt, whale watching in Tenerife was one of the most magical moments of the trip. I never had much experience with Airbnb before this trip to the Canary Islands, but now I'm hooked. 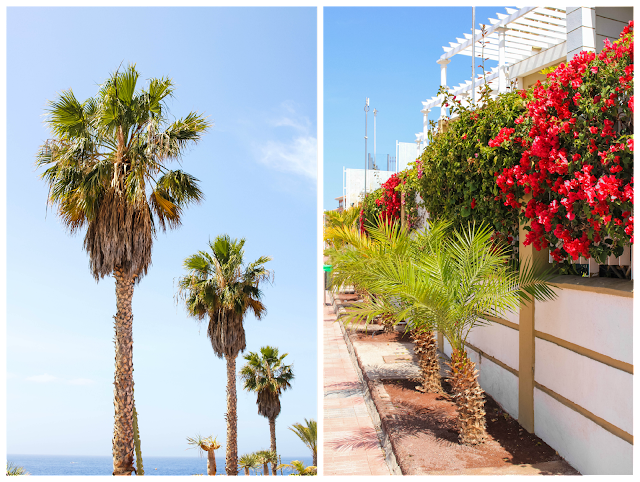 Paolo's apartment in Costa Adeje was the perfect escape from the touristy hub of the city. Every morning I woke up to a gorgeous view of the sea and ate breakfast outside on the spacious terrace. Because the restaurants in town were notably substandard, we also chose to stay in and cook most evenings. The apartment complex, Malibu Park, also had a large upstairs lounge area with two swimming pools and a beach bar. 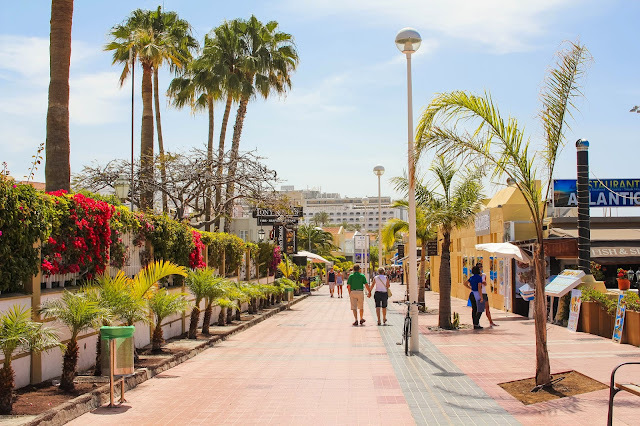 While I normally prefer hotels, staying at an Airbnb in Costa Adeje gave us the freedom to make our own food, avoid the touristy hot spots, and have a delightfully more authentic experience. 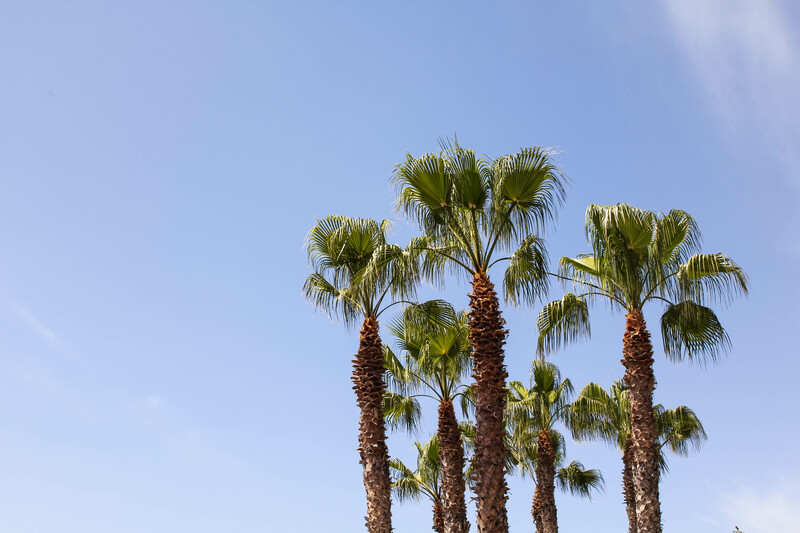 Where's your favorite sunny escape? 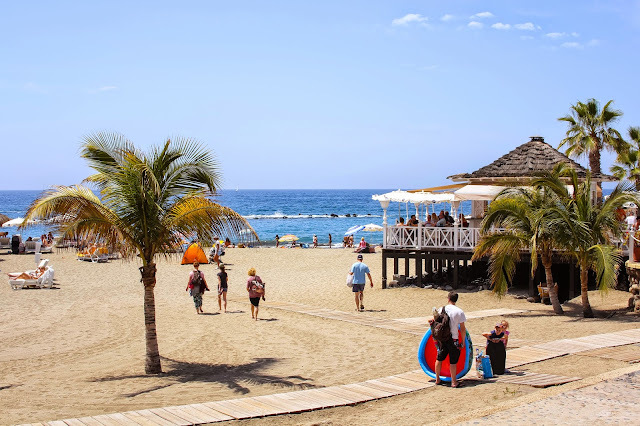 28 comments on "A Sunny Escape to Costa Adeje, Tenerife"
Ooh I love this post! Thanks so much for these tips :) You have me dreaming of Spanish beaches now! I hope you're having a lovely week! Saving this post and saving the Airbnb recommendation! I want to go to the Canary Islands sooooo badly!!! Love the rich blue of those waters! Beautiful pictures! I visited Lanzarote last year and sadly didn't really rate the township either, but I can handle a bit of sun and snoozing instead :) Air BnB is the best huh?! Gorgeous! The photos truly just radiate sunshine! I would love to have this sunshine in my life right now! Which Tenerife airport did you fly into to reach the Costa Adeje? Costa Adeje is closer to the Tenerife Sur airport, but because we went to Puerto de la Cruz first, we ended up flying into the northern airport. The bus ride wasn't too long from the north though! It's true! I could use a little more tropical sunshine in my life right now! How were the beaches in Lanzarote? I'm contemplating another trip to the Canaries next January/February, and I've heard the landscape in Lanzarote is really incredible. I'll be sure to read this as soon as I get the chance! I think you'd really appreciate parts of the Canaries. 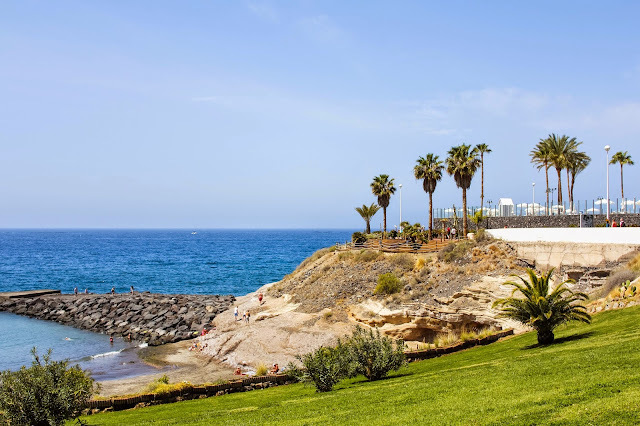 I think you'd probably like Puerto de la Cruz on Tenerife or Las Palmas on Gran Canaria! The architecture and food were incredible there. Thanks Marcella! I definitely recommend the Canaries for a warm getaway! Wow, the Canary Islands look amazing! I'm in need of some Vitamin D myself! ha If (and when) I make it out there, I'm gonna go with your Airbnb pick! You should totally go whenever you get the chance! I also went to Puerto de la Cruz on Tenerife, and that's definitely worth seeing as well. 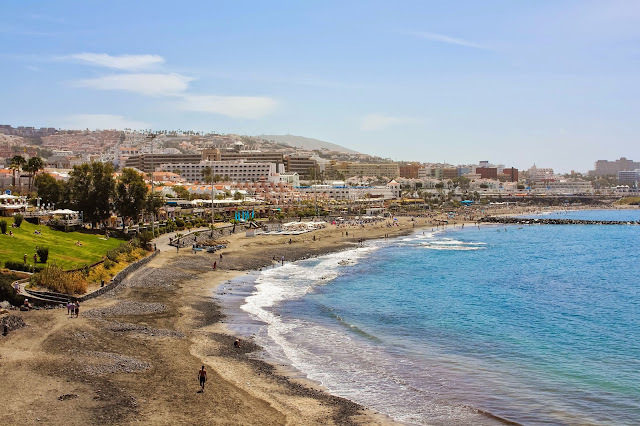 Puerto de la Cruz has better food, better architecture, black sand beaches, and more character... but it's not as warm as Costa Adeje :( So if you go to Tenerife, I definitely recommend hitting up both! This looks like the perfect relaxing vacation! And whale watching?! Wow! I didn't even know that was a thing in the Canaries! 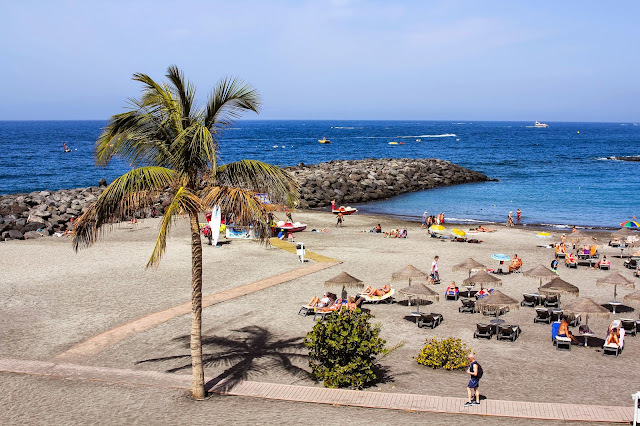 I've only been to Tenerife and am not sure if I'll have time to venture back to the Canaries before I leave, but when I eventually make it there, (because I know I will), I'm saving this post for recommendations!! Hope you got a good dose of sol! Holy cow....my mom and I are planning a trip to Spain/Portugal in early October and I'm going to have to show her this place and maybe add it to our list! I'm in chilly Dublin right now drooling over these pictures! I need some sun in my life! To be honest, we didn't have a great time on the beaches, although we did have a nice walk along the cliffs for a few hours which eventually took us to some cool ones. I would say hiring a car would have made this a lot easier! The landscapes are pretty incredible though - so volcanic. Some parts looked like we were on the moon! That place looks beautiful! I'm no longer living by the beach anymore so going to visit a place with a beach is definitely on my next list of where to go on vacation! I feel ya! Although I love living in Madrid, it's so hard not living by the water! Once you get used to having the ocean in your life, it's really tough to go without it. Oh gosh, I can only imagine! Where else are you planning to go in Spain and Portugal? I'm sure it's going to be an epic trip! Thanks chica, it was the definitely the perfect dose of warmth, sunshine and water! So much sunshine in these wonderful photos, I'm getting a tan just looking at them! Not quite sure, she's still planning and deciding where she wants to go! I think she definitely wants to do South of Spain and Portugal so she mentioned Granada and Sevilla!